The SMART M115-A is a very powerful energizer with 15Joule stored energy, suitable for multiwire fences up to 40 km. 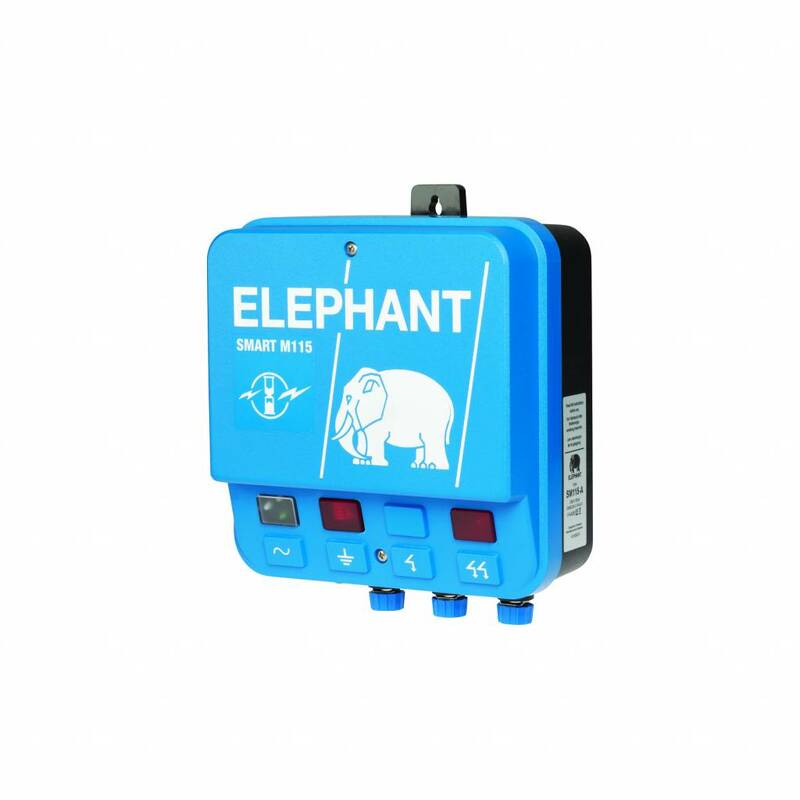 The built-in Elephant SMART technology with "time delay" ensures this powerful energizer will during demanding conditions, providing the fence always of adequate power and safety. The SMART M115-A comes with analog LED display which shows the output Voltage in 5 steps of 2kV.